Cottage with living room (sofa bed, upholstered furniture, satellite TV, radio), sleeping loft with 4 beds, kitchen (dining area, electric cooker, fridge, microwave, Kaffeemasch. ), Shower / WC, electric heating, insect gauze, terrace. 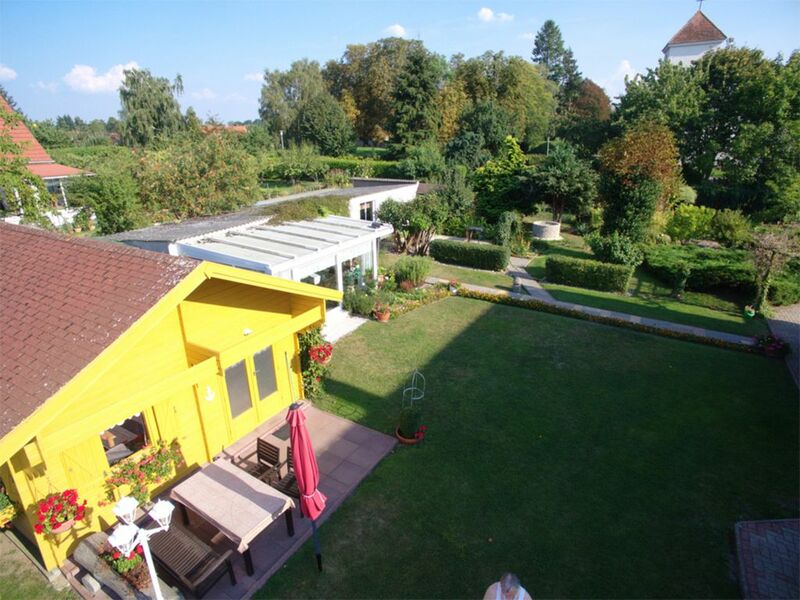 The house and the two apartments are located separately on the well-kept residential land of the landlord in the district Rechlin North. The marina with boat rental and catering as well as the aviation museum is in approx. 800 m distance. The Müritz with water (direct access) is only about 80 meters away. Here goes along also the popular Müritz biking trail. Specials: bicycles, rowing boat and 2 canoes, children's playground. The total price includes bed linen, towels, water, energy and final cleaning. The equipment can be found in the description for the property. To be paid on site: Local tax, Pets (if applicable). Pets: In this object along on the trip of a pet is allowed (5 EUR / n.). The deposit must be paid with the booking. Should a booking notice is not possible, a registration must be done. Rechlin is a resort on the southern shore of Lake Müritz. The small towns Robel Mirow and are about 10 km away. In the resort there are restaurants, shops, marina, pier, beach, boat rentals, playgrounds u. V.m .. The Luftfahttechnische Museum conveys interesting impressions of the time as a test site for the Luftwaffe as well as about the shipyard and the town's history. Only a few kilometers to the north stretches the Müritz National Park, which is one of the most important habitats of rare animals and plants through huge forest complexes, many small lakes, meadows and bogs. Visitors can tap into the area by the very well-developed cycling and hiking trails themselves. For observations of wildlife and birds guided excursions are offered. For this purpose, numerous lookout towers were created.